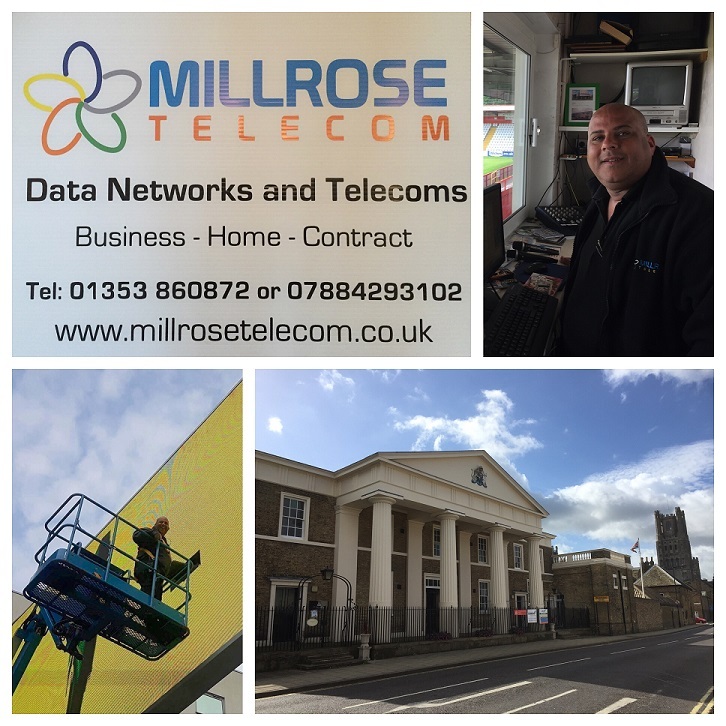 The Brief: Millrose Telecom, in Ely, Cambridgeshire, offers expert data cabling, business telecom and residential telephone engineer services. They provide fibre optic installations, terminations, fault finding and repair and Cat5 and Cat6 copper data cabling to businesses, schools, factories, agricultural sites , football stadiums and many more across the region. Millrose Telecom work with Emerald Frog Marketing to promote the brand across the region and manage marketing on an ongoing basis. The Results: Millrose Telecom was launched in 2013 and required branding and marketing materials to launch. The logo was created using the colours in ethernet cabling to create a brand that reasonates with the industry. The website is targeted at the Ely and Cambridgeshire area where it ranks on page one of Google for many key words and search terms. Strategic marketing planning and ongoing marketing management has resulted in Millrose Telecom going from a start-up to now working with leading IT and M&E companies across the region. Millrose Telecom also now attracts business from a wide range of industries as turnover increases year on year.